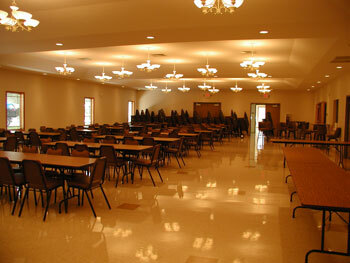 The Village of Reesville had long dreamed of building a facility that could function as a community center as well as a venue for hosting wedding receptions and other large functions. With hard work and dedication, Kunkel Engineering Group was able to help the Village make that dream a reality. One of the big hurdles was funding. Kunkel Engineering Group procured a $110,000 grant from the Wisconsin Department of Commerce to assist the Village in financing the facility. 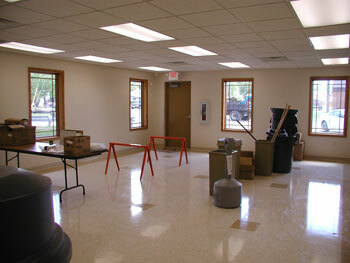 After much work with village leaders in assessing needs and expected uses for the community center, Kunkel Engineering designed a 7,171 square foot facility that houses a large community room, separate room for smaller gatherings, bar, restrooms and catering kitchen. 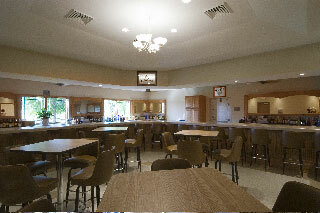 The multi-purpose kitchen features windows that open both to the large community room and to the outside for concessions use during community ball tournaments and park gatherings. 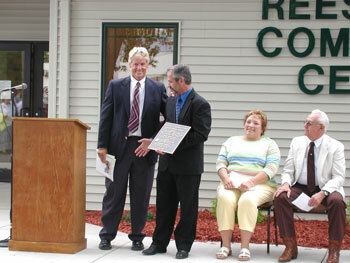 The Village dedicated the Community Center on its 150th anniversary, June 22, 2006.